In the news on Friday I saw a series of articles about a recent change in communication rules which was rejected by the Senate that would have prohibited ISPs from selling your browsing histories. I understand why ISPs would want to monetize this data, after all, this data would be extremely valuable to online advertisers to more accurately serve ads. But I think it should give us pause to ask the question is this in fact ethical? While there really is no 1 to 1 comparison, the closest thing(s) would be either the telephone company selling your call records, or the post office (or other courier services such as UPS) aggregating and selling the information on the outside of your mail. I would strongly suspect that most people, if asked, would certainly not want their communication records sold to the highest bidder and yet that is precisely what Congress is allowing. What Does This Mean for Privacy? If ISPs are allowed to sell your browsing histories, I don’t believe that it is overstating things to say that this represents the end of privacy on the internet. While we didn’t have much privacy on the internet any these days anyway, but if the ISPs are allowed to sell browsing records, it’s pretty much over. With that said, it is difficult to discern exactly what is going to be allowed under the new rule change, but if I’m reading the news articles correctly it will allow ISPs to sell records of metadata of your web browsing. To a competent analyst, this data would be a virtual gold mine for targeted advertising and all sorts of other services, none of which are really beneficial to the individual. As I’ve shown in my Strata talks about IoT data, (here and here) if you gather enough seemingly innocuous data about an individual, it is entirely possible to put together a very accurate picture of their life. From my own experience, if you were to look at my browsing history for a few months, you could very easily determine things like when my bills are due, what companies I do business with, when I go to work/bed, what chat services I use, things I may be interested in buying, what places I’m interested in visiting, etc. The bottom line is that I consider my web browsing to be personal. I don’t want to share that with anyone, not because I have something to hide, but rather because I want the choice. I see no benefit whatsoever to the consumer in this rule change. Unfortunately, there really aren’t a lot of options. From the technical perspective, there are several technical options–none great–to preserve your privacy. It is not possible to keep the ISPs from getting your data, but you can make that data useless with TOR and VPNs. Virtual Private Network (VPN): VPNs have been traditionally used by corporations to allow remote access into private networks using the public internet. VPNs create a secure tunnel between your computer and a proxy server then your web traffic passes through that server–which can be anywhere in the world. For those of you who don’t work for large corporations, there are free and paid VPNs that you can use to access the web, however, I would avoid any free VPN service as they are likely making money by, you guessed it, collecting web traffic and analyzing it. VPNs may seem like an ideal countermeasure, however there are issues with VPNs as well. For starters, you are adding bottlenecks and complexity and hence losing speed. Secondly many sites–particularly sites that have geographically based licensing such as Netflix–block traffic from VPNs. VPNs don’t make yo u anonymous but they can make your data much more difficult to collect. TOR: TOR stands for The Onion Router (https://en.wikipedia.org/wiki/Tor_(anonymity_network)) and it is similar to a VPN but instead of using one proxy server, TOR uses a series of encrypted relays and makes traffic much more difficult. TOR has been used in many countries to successfully evade internet censorship. TOR has the added benefit of allowing anonymous browsing, however, it does introduce additional complexity into your browsing. There also is a speed penalty for using TOR and you will find that you will not be able to access certain services using TOR. Depending on how protective of your privacy you are, this may or may not matter, but it is important to understand that when using these technologies, guaranteeing your privacy depends on properly configuring them. One small misconfiguration can expose your personal data. I should also mention here that the so-called privacy modes that most browsers include do absolutely nothing to protect your privacy over the network. Privacy mode erases your browsing history and cookies on your local machine, but you are still vulnerable to snooping over the network. This rule change represents a complete failure of government to do the thing it is really supposed to do–protecting the rights of its citizens. It’s sad that the whole world was up in arms in response to Snowden’s revelations, and yet the silence is deafening in response to unlimited, widespread corporate surveillance. Indeed, you have to read the hacker blogs (and my site) to find any kind of discussion of this issue. This story got virtually zero coverage in the news media. What is a real shame is that this appears to have become a partisan issue in that the vote in the Senate was a strict party-line vote. It is entirely possible that the new Congress voted to repeal these rules simply because they were put in place by the previous administration. Contact your Congressional Representative(s) and Senator(s): The Congressional switchboard number is 202-224-3121. Always be courteous, professional and polite when speaking with Congressional Staff. Be sure to convey why you are calling. While it is unlikely that you will speak directly to your Senator or Congressman, their Staff have enormous influence and you should be respectful to them. 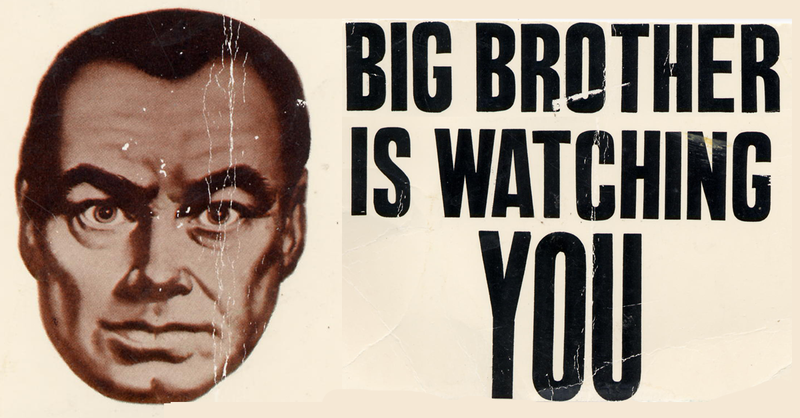 Make it clear that you do not welcome corporate surveillance. Educate Others: I suspect that the reason this received so little attention is that the average person doesn’t really understand security, privacy and the consequences of this kind of data collection. Therefore, it is incumbent upon those of us who work in data analytics and security to explain the implications of these policies in an understandable manner to non-technical people. I would strongly urge everyone to do what they can to protest this rule change. If we do nothing, we might wake up one day and find that our online privacy has ceased to exist.